Have you ever attempted to weigh an eyelash before? It's darn near impossible! Eyelashes are one of the tiniest parts of our bodies. Their microscopic qualities make judging the right type of eyelash to apply more of a matter of diameter (their width) than weight. As expert lash artists know, every client will have different eyelash extension needs due to their own unique natural lashes. Regardless of the strength of your client's natural lashes, if you don't create volume lashes with the right lash measurements in mind, the extensions could end up not working well for your client. Let's break down what volume lashes are, how to use diameter to create effective volume lashes, and how to determine whether or not your client is a good candidate for volume lashes. You know classic lash extensions are applied using a one-to-one ratio: one lash extension to one natural lash. They add length and curl and are ideal for clients who have lots of natural lashes. Volume lashes, on the other hand, are thinner lash extensions made into fans that consist of anywhere from 2 to 10 lashes per fan. Each fan is applied to one individual natural lash. So, instead of having a single extension for every single natural lash, there might be several times the number of thin extensions for the number of natural lashes a client has. When you are choosing lashes for a volume set, you want to keep lash diameter in mind. The diameter is the width of the lash. The higher the diameter, the thicker and heavier an extension is. The most commonly used diameter for Classic Application is a .15. .18 and .20 are also used, but not recommended due to the heaviness of those diameters. Since only one lash extension is applied to each natural lash, the appropriate diameter can be higher than the thinner diameters of lash extensions used in volume lashing. Since volume lashes contain 2 to 10 lashes per fan, you want to use lashes with much smaller diameters. Appropriate diameters for volume lashes are .03-.07. The diameter you use, and how many lashes are in each fan you use, will be determined by your client's natural lashes and the desired look. 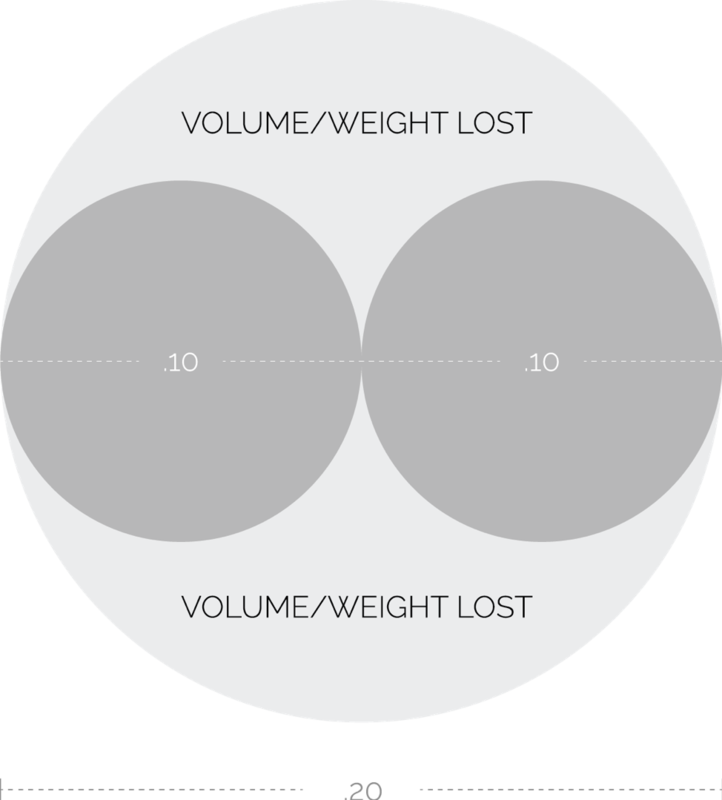 Creating a volume lash to get the appropriate weight isn't simple math. You can't just divide the diameter of a classic lash by the diameter of a volume lash to see how many lashes are appropriate. As you can see, you wouldn't use two 0.07 volume lashes to get to around the weight of one .15 classic lash. You'd use four. When you're applying volume lashes on a client, you'll want to take into account how much volume they need in terms of lash coverage, as well as an appropriate lash weight for their natural lashes. Add too much weight, which you can judge by lash diameter, and the natural lashes could suffer. The lash extensions could fall off quickly, and/or the natural lashes might get pulled out and damaged. It's your goal as the lash artist to find the perfect balance for each client. Who Is a Good Candidate for Volume Lashes? For clients who are newbies to lash extension fabulousness, it helps to have a set of questions to ask to determine what type of lashes your client will love. It's also good to have some before-and-after photos on hand to show the client, so they can get an idea of what they're going after. Would you prefer length or fullness? Do you want to enhance your current lash look, or go for glamour? What is your normal lash routine? Nothing, curler with mascara, just mascara or strip lashes everyday? If your client wants more length, classic might be the way to go. If they are used to wearing strips everyday, then volume might be the more appropriate choice. At the end of the day, you are the professional and should be making the appropriate recommendations that their natural lashes can handle. 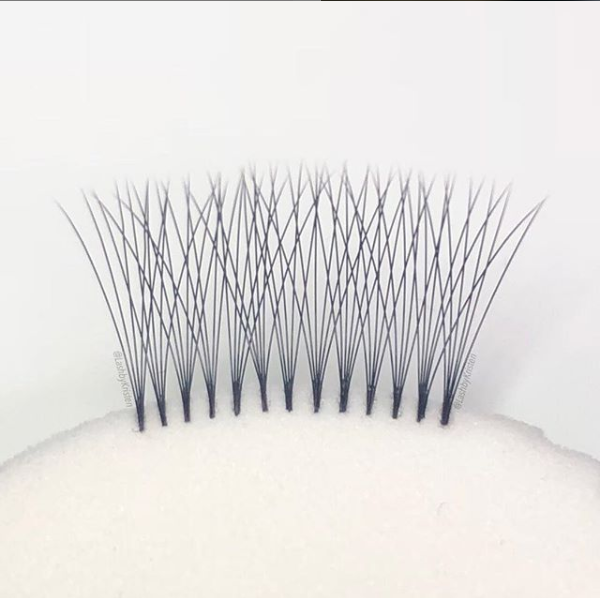 Whether you choose to make your own lash fans or use pre-made fans for volume lash application, you must closely examine your client's natural lashes to match them up with the very best volume application. The diameter you choose will determine the weight of the lashes, and thus how successful the application is. Avoid making mistakes with volume lashes by getting your volume lash certification. Since volume lash application is much more complicated than classic lash extension application, you should get professional education. Learn about Lash Affair Academy training options so you can perfect your technique and grow your business with volume lash application.